ItemA-02662 - Two Little Girls Playing On The Grounds Of Craigflower School, Victoria. ItemA-02663 - Craigflower School, Victoria. ItemA-02666 - Craigflower School, Victoria. 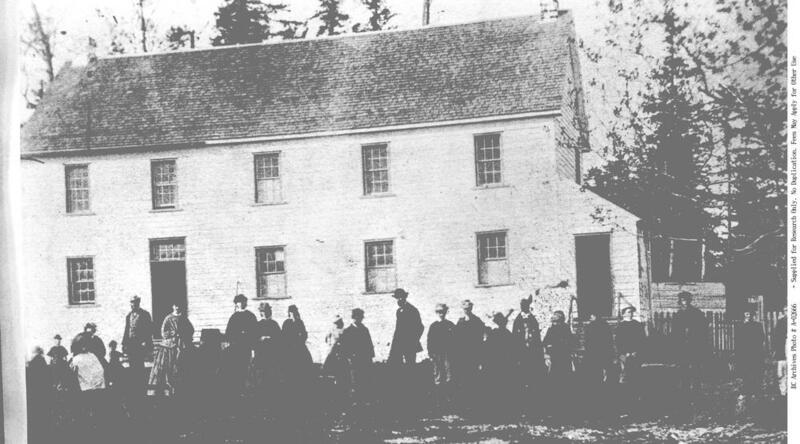 ItemA-02669 - The remnants of the first, albeit, temporary Craigflower School in Victoria; note the animal skulls to the left of the building. ItemA-02670 - The crumbling remains of the first, temporary Craigflower School in Victoria. ItemA-00091 - Steamers At The Wharf At East Robson, The SS Kootenai, Columbia, And Lytton. Item A-02666 - Craigflower School, Victoria.